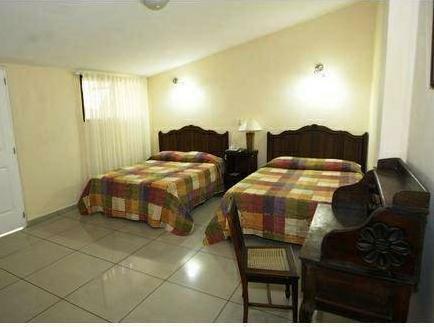 ﻿ Book Hotel Meson de Maria (San Salvador) - 2019 PRICES FROM A$56! Located in San Salvador’s prestigious San Benito neighborhood, Hotel Mesón de Maria offers a garden courtyard, a bar-restaurant and free private parking. Each air-conditioned room includes free Wi-Fi and cable TV. The bright rooms at Meson de Maria have a functional design, with tiled floors and a desk. Each room includes a telephone and a private bathroom with free toiletries. Staff at Hotel Meson de Maria can arrange car hire or local area transport on request. They are also happy to provide information about the city. The hotel is just outside the elegant Zona Rosa district, known for its stylish shops and restaurants, museums and embassies. El Salvador Art Museum is 1640 feet away, while Plaza Italia bus station is just 820 feet away.